When you’ve invested in the best, we know you that you expect the best. Your Mercedes isn’t like every other car, so we don’t treat it like it is. From using the perfect specialized part, to completing a thorough and knowledgeable repair, Precision Auto in Germantown has you covered. 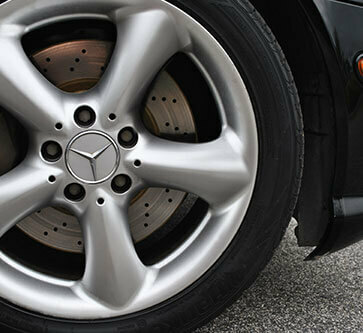 We are your one-stop-shop for all Mercedes auto repair and maintenance services. For decades, we’ve been known for our exemplary auto repair and customer services. Now let us show you that same quality with your luxury Mercedes. Stop by the shop today to experience the Precision difference. Our team knows how important it is to find someone you can trust to take care of your car. From the everyday maintenance services, like oil changes and scheduled maintenance – you need a shop that call do it all. Not only does our team provide premier service, from the small details to the big overhauls, but we also do it at an affordable price. No games or push for unnecessary service. We explain to you exactly what you need and answer any questions you may have before we start any service. All of our repairs are also backed by a 24 month/24,000 warranty – so you feel confident with each visit. Call our expert team today and be back on the road tomorrow! We know how big of a hassle going to the dealership can be – and you don’t have that time or money to waste. That is why Precision Auto is dedicated to providing you the best quality service, at an affordable price. Our specialized technicians know that no makes are the same, and treat each vehicle with individual care. You want the best for your Mercedes and that is the service we provide at each visit. Whether you need a quick tune up, a reliable brake repair, or a specialized wheel alignment – we’ve got the tools and experience you need for every and all repair! Call us today and talk to your expert staff, or schedule your appointment online with our easy scheduling form. Stop by the shop today and see why we are Germantown’s most trusted auto repair experts.